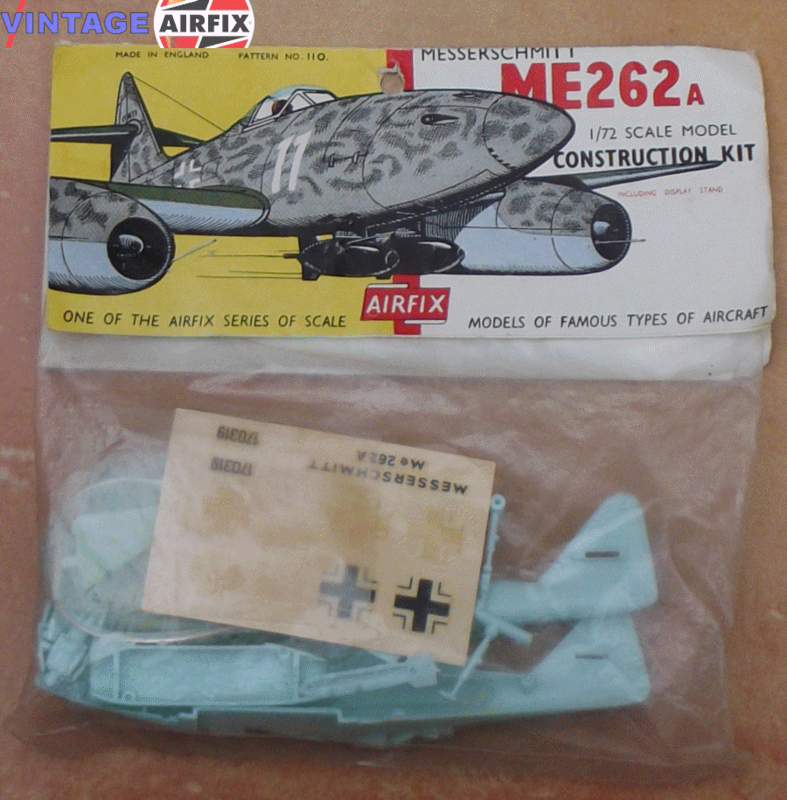 The Airfix model of the first turbojet aircraft to become operational has 40 parts. The M.E.262 marked the peak of German design in World War II. Started in 1938, it first flew in 1942. In April 1944 deliveries began of the M.E.262-1a fighter; later it was modified as a bomber, which proved unsuccessful, and a night fighter. At the end of the war, over 1,400 M.E.262's had been produced, of which only about 100 had been operational.